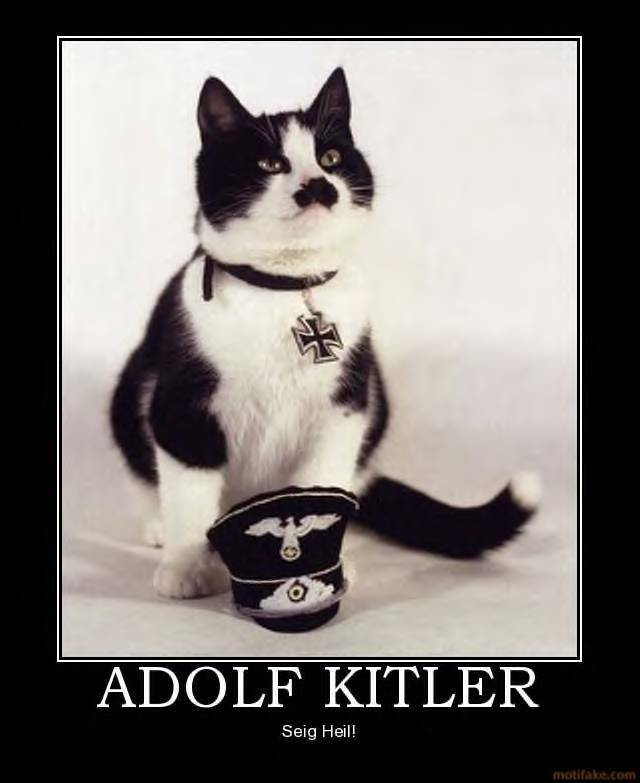 Before the internet was the highly sophisticated, well-structured web of everything that we know it as today, the top ten search results for “Adolf Hitler” returned everything from Hitler’s biography to kitlers, kittens that look like Hitler. No joke. As the internet developed, the web—and all the information it contained—was structured. As the web grew, it became an increasingly attractive resource for people, so they began using the internet. And then more and more followed suit. And finally, even those people who used to hate on the internet joined the internet bandwagon. This phenomenon is described by Metcalf’s Law, named after a brainy hotshot who co-invented the Ethernet (but who also got his PhD at Cambridge Community College). The idea behind the law is simple. It basically states that the value of a network increases (really quickly) as the number of users in the network increases. We can all relate to this trend. After my friend Florian had to go back to Germany after studying abroad at my high school, he told me to get Skype. And then my friend George told me that he had Skype, as did my other friend Danielle. Downloading Skype allowed not only me to contact Florian, but also Florian to contact George and Danielle, and George to contact Florian and me, and Danielle to contact Florian, George, and me, etc. You get the idea. The value of the network grows—order n log n or n2—as the number of users does. Before you dismiss this as some esoteric mathematical phenomenon, it might help to remember that this idea is related to a mind-blowing experiment conducted in the Netherlands. The city of Drachten, with a population of 45,000 people, is verkeersbordvrij—free of all traffic signs. If you’ve ever been to India and witnessed first-hand the anxiety that drivers there are subjected to in spite of all the road traffic signs, you may wonder what could have possessed anyone to propose something so radical. But after two years of observing the unusual policy, the city witnessed a considerable decrease in accidents, and other cities in Europe began adopting similar policies. Perhaps surprisingly, the lack of strict, formal laws didn’t result in complete anarchy or dystopia. The take-home lesson from Dracthen is that sometimes, even in unexpected contexts, standards are more effective than rules; given how networks—whether road maps or social networks—grow so quickly in value, this observation is particularly salient when constructing the frameworks upon which we build networks like the internet. Instead of feeling burdened with tons of laws to abide by, people can respect each other’s welfare more effectively if they are liberated from them. If people feel like they are part of a social group—they’ve got your back, you’ve got their back—the Internet Gods do their magic, and things just click. NASA's Clickworkers project asked volunteers (instead of graduate students and scientists) with computers to demarcate craters on Mars. Next, our peers have also seamlessly integrated the process of establishing relevance and accreditation into our virtual worlds. I have yet to purchase an item from Amazon without having access to plenty of customer reviews (of both the product and the shipper if I’m buying a used book). Amazon also includes that handy “customers who bought items you recently viewed also bought these items” bit that always tempts me into buying more stuff. All of these services are ways of establishing relevance and accreditation. The “related items” pitch by Amazon teases you with stuff that is almost always relevant or related to the thing you’re searching for or interested in, and all the customer reviews help establish the legitimacy of the product you’re thinking about purchasing. These services have been integrated into the internet in more subtle ways, too. Google’s PageRank algorithm (named after Larry Page, FYI) does this. Pages that are linked to more frequently among more popular sites are prioritized in Google searches. Thus, these links embedded within sites are a form of establishing relevance and accreditation. Good websites will be linked to by other good websites more often, thus constructing a kind of peer-to-peer relationship among the sites we find on Google. The final step of peer production is distribution, which speaks for itself, though it is worth noting that distribution is cheap online. Together, they all form a powerful combination. Slashdot, Reddit, and Yelp all do these things in one form or another. And so does Wikipedia, the king of online peer production. Needless to say, Wikipedia is pretty darn awesome. It’s grounded in a spirit of reporting in a neutral point of view, not conducting original research, using verifiable sources, and assuming good faith. You don’t need me to praise Wikipedia for you to appreciate it. We’ve all used it, and we will most likely continue to do so. As a loyal consumer of Wikipedia, I will defend it to great lengths. I also religiously consult Yelp every time I eat out. However, I do think there are some drawbacks to commons peer production—or rather, to its potential consequences. True, even though peer produced projects like Wikipedia have been found to about as inaccurate as Encyclopedia Britannica, it could still be quite a bit more accurate, and the Seigenthaler incident is a reminder of this fact. And true, the Essjay Controversy is proof that such endeavors are not perfect. Those are not my objections. Peer production begs the question of peer consumption. Is it not unreasonable to venture that peers—even if loosely defined—are consuming those things that their peers produced? Perhaps this is a bit of a stretch. Our peer networks do serve great functions, but relinquishing the asymmetrical allocation of power that characterized the institutional foundation of property also has consequences. That power, traditionally reserved for the owner, itself performed a valuable service in the same way that information (Yelp, what place has good food? Is the service good?) embedded within networks and their collaborative webs do. The absence of those distributed webs allowed those wielding ownership (power) a sense of authority, validity, and legitimacy. The centrality of the information economy served a purpose in the same way the decentralized economy does, but they have different consequences, which are already materializing and are most sinister when we think about our source of information. Not to get too meta (as this can apply to Facebook itself, not just to the use of Facebook), but don’t tell me you haven’t ever logged onto Facebook at the end of a long day, only to realize two hours later that you hadn’t read the news that morning and just spent a ton of time (during which you meant to do homework) reading a random assortment of articles that your Facebook friends happened to upload. A lot of people joke about getting their news from Facebook, and in many ways, that appears undesirable. Conservapedia, a conservative spin-off of Wikipedia, was founded in 2006 in response to Wikipedia’s alleged “liberal bias.” The main page links to other pages including Why does science work at all?, Is science a game?, and The rules of the game. The website claims that global warming is a liberal hoax and that homosexuality is caused, among other things, by liberal ideology creeping into education and by “psychological tactics used by homosexual activists.” In all seriousness, propoganda has always existed, and it will always exist. I just fear that, although peer production confers benefits that enhance all of our lives, peer production may also facilitate the degradation of a robust and transparent information economy, especially as we consume the products of peer production in an increasingly personalized internet age. I’d guess that the primary consumers of Conservapedia are “peers” of its producers. No one else would consult it seriously. Peer production may beget peer consumption, and to the extent that we allow it to supplant our high quality sources of information, they are potentially damaging.